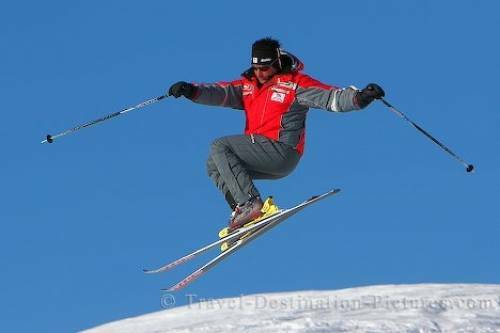 Getting a certain speciality in skiing takes years and years of experience. For me it was a challenge to even follow this guy to the places where he wanted to conduct this type of acrobatic, but the shots I got were worth the sweat. Picture of a man skiing in the mountains of Austria, Europe.